For those of you who haven’t gotten to ride on the Hello Kitty planes (I sure haven’t), here is your chance to do it. EVA Air is adding additional routes with the timeless Hello Kitty livery! But wait, there’s more! Not just do you get to enjoy how cool the outside of the plane looks even better from the inside, with Hello Kitty pillows, Hello Kitty stamped butter, and last but certainly not least. Hello Kitty Toilet Paper. New Routes include 3 flights weekly from Houston (IAH) to Taipei (TPE)–BR52 and BR51)-, and from Taipei (TPE) to Singapore (SIN)–BR215 and BR216. 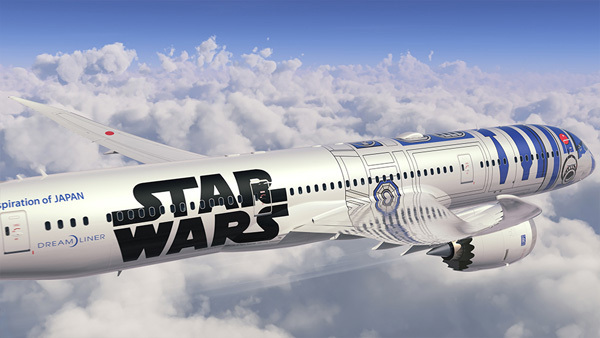 Now, if only ANA could embrace this level of detail with their upcoming R2-D2 Star Wars Livery! 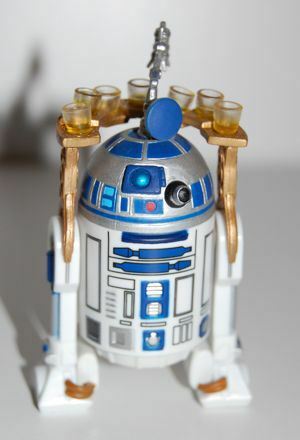 I’m thinking they could have an R2-D2 like in Star Wars: Return of the Jedi (like the one below) bringing drinks up and down the aisle, perhaps some R2-D2 inspired toilet paper, and instead of the multiple people speaking the announcements, they could all be done by C-3PO. And look – R2-D2 is already in ANA’s colors! Photo from here.